Editor's Note: This is the latest in an occasional series of columns from former GB contributor Sheila Burt, who now lives in Japan. 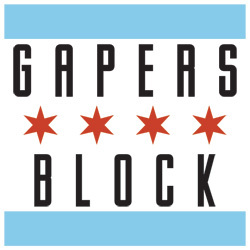 "Letters from Japan" will discuss social and urban issues Chicagoans face and how the Japanese do it differently. 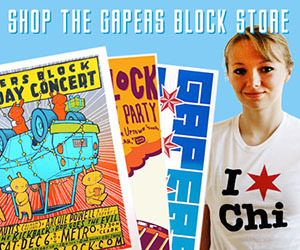 Previously: America & Chicago, as Seen from Japan; Biking in the Countryside and City. MATSUYAMA, JAPAN -- Toyama Prefecture, my former home in Japan before I moved south to Matsuyama, is part of Japan's yukiguni, or snow country. Every winter, snow falls almost endlessly in the country's central and northern prefectures facing the Sea of Japan, blanketing open rice fields and capping nearby mountains. As much of a nuisance as it was to bike around my seaside town and walk to my junior high and four elementary schools in knee deep snow and black ice, the snow was also the setting to one of my favorite stories from Japan. One particular morning in February last year, a heavy new snowstorm covered all of the walking and biking paths to my junior high school. I received a ride to work from a fellow teacher and was grateful I didn't have to walk the two miles to my junior high school. When we pulled up to the front entrance, I noticed several of my students gathered in a circle outside of the school. Curious and a little confused, I moved a little closer to see why they were outside huddled in a group. I first thought they were being typical adolescents, laughing about sports and comic books. 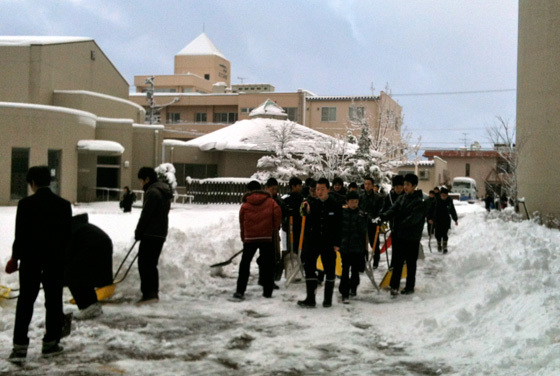 But as I reached them, I realized they weren't playing or goofing around; they were working, shoveling the snow surrounding the school for the teachers and staff before their classes began. For me, this story best illustrates what a Japanese school and education means to society. In Japan, school is much more than a learning center; it's more akin to a community center where students learn how to be productive members of society. "I love Hayatsuki so much," I recall one boy saying in a graduation speech about the junior high school I worked at, holding back tears as he continued to express himself in an eloquent speech. Students here go to school year round, usually beginning the academic year in April and graduating in March. They come to school around the same time students in America do (8:15am), immediately taking off their shoes and changing into the same "indoor shoes" (white sneakers that they only wear inside the school, per Japanese tradition of never wearing outdoor shoes inside). Before walking into the teachers' staffroom, students must bow, state their purpose, and ask permission to enter. Many things are similar to life in American schools, but there were a few key differences I noticed in my two years working in the Japanese public schools. 1. Students clean the school. Cleaning time is a period for about 20-25 minutes after lunch. This is considered part of their formal education and is mandatory until students go to a university. As teachers supervise, students wash the floors, stairs and even the bathrooms of the school. They sometimes make a game of it, racing each other with rags as they wipe the floor clean. Whenever I tell Japanese teachers or students that we don't have a mandatory cleaning time in America, their immediate reaction is, "But then who cleans the school?" They are surprised to learn that janitors are employed to do much of the inside cleaning. 2. The same (fairly healthy) school lunch is eaten by everyone. 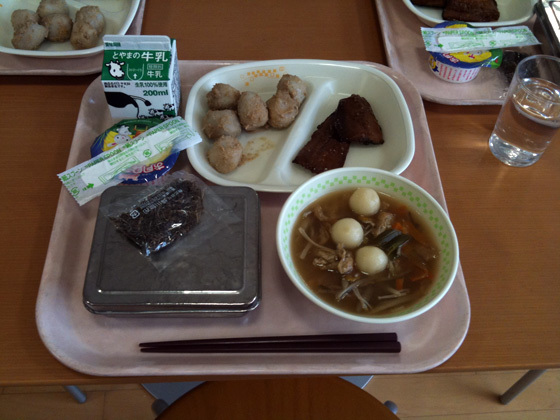 Kyushoku, or school lunch, is mandatory for all elementary and junior high students. All teachers and staff also eat the same meal as the students. School lunch is generally healthy, always consisting of some sort of meat (many times fish or pork), vegetables, rice and milk. The meal sometimes supports local farmers or food from a particular region in Japan and is always affordable (I paid about $45 per month for roughly 20-25 meals). 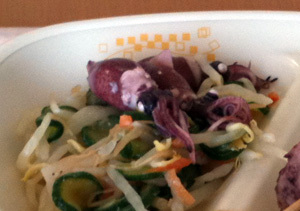 In my town, every March, students and teachers would eat two or three meals of hotaruika, a small purple squid with beady eyes that glows in the dark and is considered a delicacy in my part of Japan. Students are expected to finish everything on their tray, even if they don't like the meal, and they also help serve the meal wearing white aprons, masks and hairnets. At my junior high school, there were no vending machines with sugary drinks or snacks inside the school or on school property. Eating school lunch seems to be one way the Japanese stay healthy. Although obesity rates are rising as more Japanese eat Western food, a much smaller percentage of Japanese children are considered obese compared to American children. 3. In many school districts, participating in a type of club activity is required in junior high school. Participating in an extracurricular activity was mandatory at my junior high school, and I saw many of my students engage in a sport or club with inspiring passion. Most of my junior high school students seemed to spend more time in school than in their own homes. As students get older and enter high school, some go to cram school, which prepares them for the rigorous tests they must pass in order to graduate from high school. Although not all school districts in Japan require students to participate in extracurricular activities, for many students, school clubs are an important way to discover passions in life and stay healthy. The students I have met and taught in Japan seemed busier than those in America but sometimes more depressed and stressed. 4. Students must wear uniforms. Even on weekends (when they sometimes have school tests), I see students in uniforms, mandatory for most students in both public and private schools until they reach university. The uniform differs slightly for each school, but it is usually a navy or black "sailor outfit" and skirt for junior high and high schools girls, and a black jacket and slacks for the boys. 5. Studying a foreign language (in this case always English) is mandatory. English ability is relatively low here (which is why I have a job). Still, students begin studying English starting in elementary school, though it doesn't get serious until junior high school. English isn't always their favorite subject, and I see problems with how it is taught, but most Japanese I have met try hard to communicate with me in English. I currently teach adults and children at a private English conversation school, and their dedication to trying to improve their ability to speak another language is always admirable. 6. Individuality is not outwardly expressed. Uniformity and harmony are important components to Japanese culture, and anyone who disrupts this can sometimes be seen as a troublemaker. The emphasis on uniformity is both admirable and maddening at times. There were no honors or advanced classes in my junior high school, and students who were particularly strong in a subject were expected to help students who struggled more. On the negative side, there have been serious cases of bullying throughout Japan, and students who have a parent who is not Japanese, or who have spent time in another country, can sometimes be teased or silently ostracized. 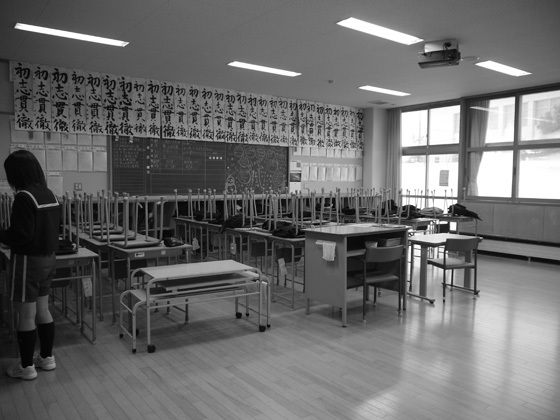 Inside the classrooms, it seemed difficult for my students to express their thoughts. When I would ask my students' opinions in class, it sometimes took a long time for students to say yes or no by themselves, even when I asked a noncontroversial question such as, "Who likes rock music?" because no one wanted to be the first to give an opinion. They often waited to speak until I took a class vote. Classrooms are also without much decoration, and I don't think the insides have changed much since World War II. Japanese teachers who see pictures of American classrooms often note how colorful American classrooms look. Reflecting on my two and a half years as a teacher in Japan, my time immersed in the Japanese education system has been incredibly rewarding. Whenever I am asked to talk about the differences in education between the two countries, I always say that both Japan and America can learn from each other's education systems. I still believe this. But as many Chicago students struggle with problems in their adolescence, in particular obesity, paralyzing school violence and now school closings affecting children in some of the city's poorest communities, I can't help but admire ways the Japanese invest in the value of school, and recognize the importance of equal education for every student.